WWE Universe - Max any personality trait of a Superstar/Diva by playing in a match. WWE Universe - Have the dominant personality trait of a Superstar/Diva change via gameplay. View an entrance scene that uses a custom Championship. Use the quick edit function in a move set. Earn the online rank "Prospect". Earn the online rank "Superstar". 2K Showcase - Complete all Special Objectives. 2K Showcase WM19 scenario - Get out of 3 pins during the last Historical Objective. 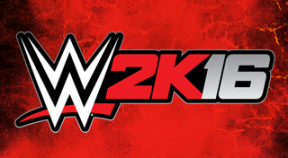 2K Showcase - Unlock and view all video replays and images in the gallery. MyCAREER - Win the WWE Championship. MyCAREER - Get promoted to RAW. MyCAREER - Get inducted into the Hall of Fame. MyCAREER - Have main personality become Aggressive. MyCAREER - Become rivals with Tyler Breeze. MyCAREER - Successfully perform 10 or more run-ins during entrances, or mid-match.